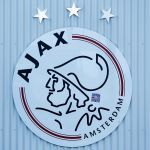 Sixty weapon-carrying Ajax supporters have been stopped by Italian police, bringing the total to more than 100. The fans were stopped aboard buses on the outskirts of Turin shortly before Ajax’s Champions League quarter-final second leg against Juventus on Tuesday. A machete and three knives were among the weapons uncovered, as well as armoured gloves, mouth guards and various types of fireworks.